As a busy working mom (dad), you may turn to professional nannies to take care of your baby. However, it is also a bit hard to totally trust a stranger to look after your children while you are away. Recently there are news telling nanny cams catching abuse and stories about hidden nanny cams caught babysitters in the act, causing more and more parents to buy nanny cameras. If you are also considering picking a nanny cam to monitor both the baby and the caregiver, you should probably want to know these questions: what exactly are nanny cams? Are nanny hidden cameras legal? How to choose the best nanny cam? Read on. Part 1: Is It Legal to Put Nanny Cams? There are many good reasons for you to use nanny cams, including protect your children, keep an eye on your babysitters, and to make yourself relaxed. But are nanny cams legal? Nanny cams, hidden or not, is allowed to make a video recording in your home. But you would break the video surveillance law if you locate the camera in private areas to monitor your babysitter, such as in the bathroom, or in your nanny’s bedroom. Then what about nanny cams with audio? Audio recording laws vary state to state. Some states have the one person consent rule, meaning at least one person on the recording must have had prior knowledge when it was taking place. It would be violating the audio recording law for not notifying your babysitter about the audio and video recording, if you are in California, Connecticut, Delaware, Florida, Hawaii, Illinois, Louisiana, Maryland, Massachusetts, Montana, Nevada, New Hampshire, Oregon, Pennsylvania or Washington. Check to see the law in your state before you make an audio recording. Just as the name suggests, nanny cams (nanny cameras) are a kind of video surveillance cameras you use to monitor your nanny, babysitter, caretaker and your children. In most other articles, nanny cams are referred to hidden spy cameras in default. Are nanny cams got to be hidden cameras? Not necessarily. 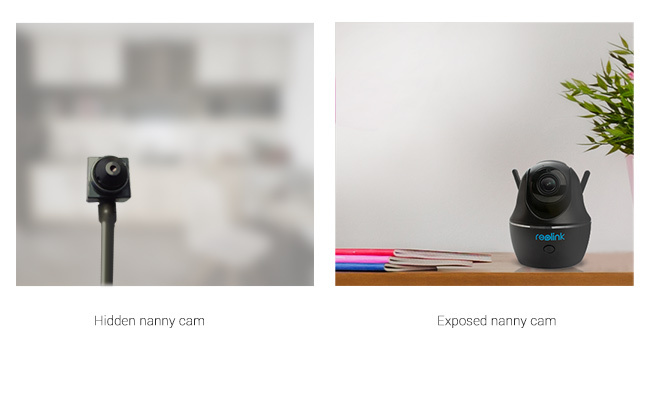 In fact, nanny cameras can be categorized into 2 types: hidden nanny cams, and exposed nanny cams. Hidden nanny cameras, i.e. hidden spy cameras, are usually disguised in something else, like a clock, a book, a toy, etc. and used to record a given location. Hidden cameras are usually not visible and used to record nannies without their knowledge. While obvious nanny cams can be baby monitors or indoor security cameras. This kind of nanny cams can be directly put on a table, or mounted on the wall. Smart Wireless Cameras for Babies, Elders, Nannies and Pets; Pan & Tilt; 2-Way Audio; Dual-Band WiFi (2.4/5 GHz). Part 3: What Features to Consider When Buying a Nanny Cam? Before you finally decide which nanny cam to buy, you should figure out the key features a nanny camera should have. HD. HD or high definition is a video format with a high pixel rate to give you more details and clarity. But at the same time, it comes at the price of decreased storage and higher cost. Considering your storage space, and practical demand, 720p and 1080p resolution is enough. Audio. Nanny cameras with audio let you speak to your kids and babysitters for better monitoring. As to the law issues, note to follow the audio recording laws when you need to record audios. Wireless. A wireless security cameras for baby monitoring lets you watch live video feeds while other nanny cameras just record the video for you to watch later. iPhone/iPad/Android compatible. With remote monitoring, you can check live streaming of your kid and the caregiver from your mobile devices when you are at work. Motion activation. You can’t always be watching your PC or smartphone to keep track of everything you nanny does. Motion activation is an awesome feature which can send you alerts when motion occurs in front of it. Recording. Most nanny cams allows video recording on SD card, but the drawback is that the SD card can be filled up quickly. For a 24/7 reliable recording, use nanny cam with a NVR is a better choice. Viewing angle. Depend on how large your room is, you can choose a wide-angle nanny camera, so that you can see all areas of the room. So make sure the camera has a pan-tilt function. Power source. There are mainly two types when it comes to the power supply of a nanny camera: battery operated cameras and AC powered ones. Battery powered nanny cams run on rechargeable battery packs, while AC powered devices draw their power directly from the outlet. When running out of battery in several hours, the camera will stop working. If it’s convenient for you to find a power source, an AC powered nanny cam is a better choice for ongoing monitoring and recording. There are a variety of nanny cams available in the market. But considering those features you’ll need in nanny cameras for intended purposes, and the budget-friendly price, you should consider C1 Pro wireless pan and tilt nanny cam from Reolink. 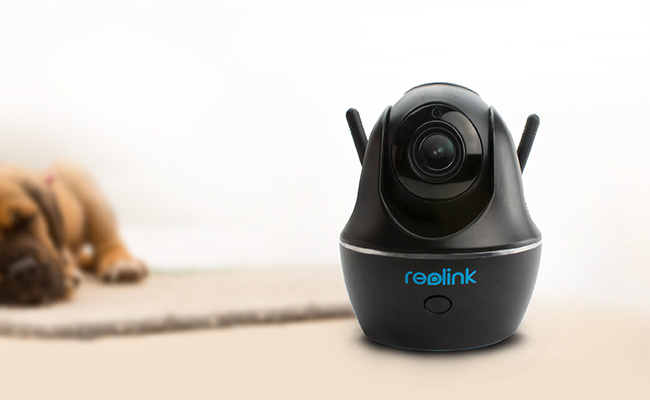 Besides those general features a nanny camera should have, Reolink C1 Pro is also an excellent nanny cam for nighttime monitoring and recording. 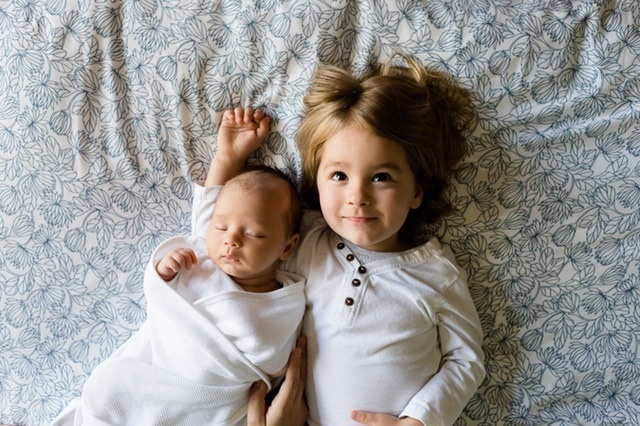 The dual-band WiFi camera ensures you a good network connection for continuous baby and caregiver monitoring without signal interference. The PT feature allows you to capture more in the room so you won’t miss anything. Moreover, C1 Pro wireless nanny camera can also be used as a pet monitor, which lets you see how well your pets are treated while you’re away. If you have a senior parent at home who requires visits from a caregiver, a nanny cam can show you what goes on when you’re gone. Part 5: Where to Buy the Best Nanny Cam? Nowadays, you have access to a variety of nanny cams in online stores, like Amazon, Best Buy, eBay, and more. To get the best C1 nanny cam, you can buy the security camera online at the official store and Amazon. The Good news is Reolink Facebook fans and Twitter followers can get a discount. This entry was posted in Buyer's Guide and tagged baby monitoring, babysitters, legality, nanny cam, privacy. It’s definitely a perfect way for describing nanny cameras. Thanks for your valuable information. It is very much important to know about it before using it. As it assures your safety in your absence so it’s an important stuff of your daily life. I bought a camera from “Titathink Technology” last year and it’s really worthy to buy it, as it provides the best quality picture possible. Hi Adelia, thank you for sharing your thoughts with us. If you have any question in choosing the righ nanny cam, please do not hesitate to contact us. According to this blog as it’s been the best-selling Nanny cam so it must have some unique specification which makes these cameras different from others. For years I have been using Nanny cam from “Titathink.com” online shop and it’s really effective to use as its have some splendid resolution which gives me a perfect visual of the recording. As these cameras also have similar specification so I will definitely try it if I need those for my future assignments. Hi Daniel, thank you for sharing your experiences. 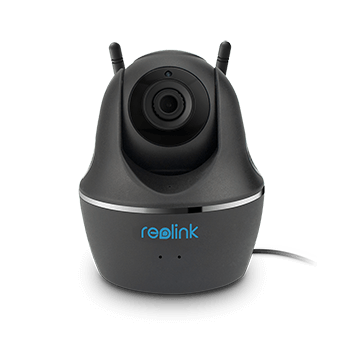 You may take a look at the mini indoor camera Reolink C1 Pro ( /product/c1-pro/ ), which is a perfect suit for nanny cam. Found your blog. Its really nice on Audio Surveillance. I appreciate your article. Its important to get quality security products. So thanks for sharing all that important information. Hi there, thank you for your comment. I’m glad the inforamtion helps.